"I am committed to my patient's long term dental healthcare and the pursuit of excellence in the profession that I love. Welcome to our office!" -Dr. Julia Correal D.D.S. 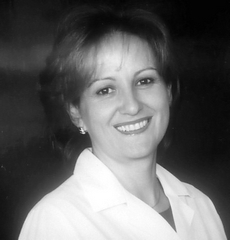 Dr. Julia Correal received her doctorate in 1996, from the prestigous New York University - College of Dentistry. She, quickly, earned top student awards and recognition from the dental faculty for showing the greatest interest in, knowledge of, and proficiency within General Dentistry. One year later, Dr. Correal purchased the location where she resides today, 3200 Schreiber Place in beautiful Baldwin Harbor, New York. Dr. Correal strives towards providing amazing results while improving aesthetics and functionality of her patients' smiles. Her mission is clear; to continually advance and improve techniques to make dentistry more available and more enjoyable for her patients. Dr. Correal and her staff are committed to providing you with a long-term dental investment. This is done because Dr. Correal chooses to use the most thorough and comprehensive diagnostics, industry proven top-of-the-line materials, and strong technical fundamentals. Her strong ideals and artistic talents will be seen every time you smile!